The "Davidov" Stradivari Cello is finished with hand applied spirit varnish and fitted with a maple bridge. 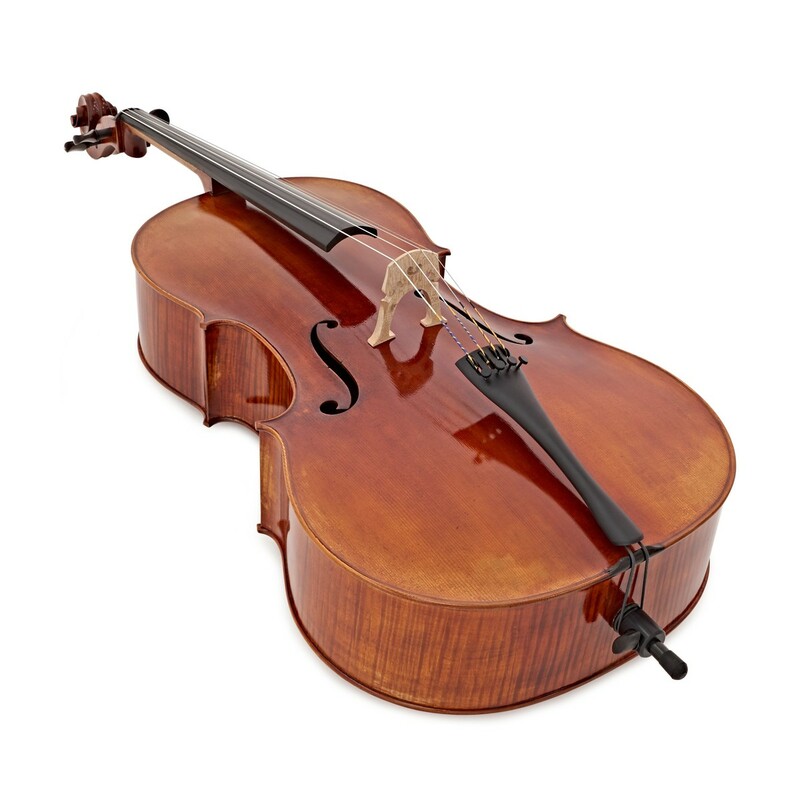 The cello comes with an ebony fingerboard for clear, crisp attacks, as well as an ebony tailpiece and top nut. 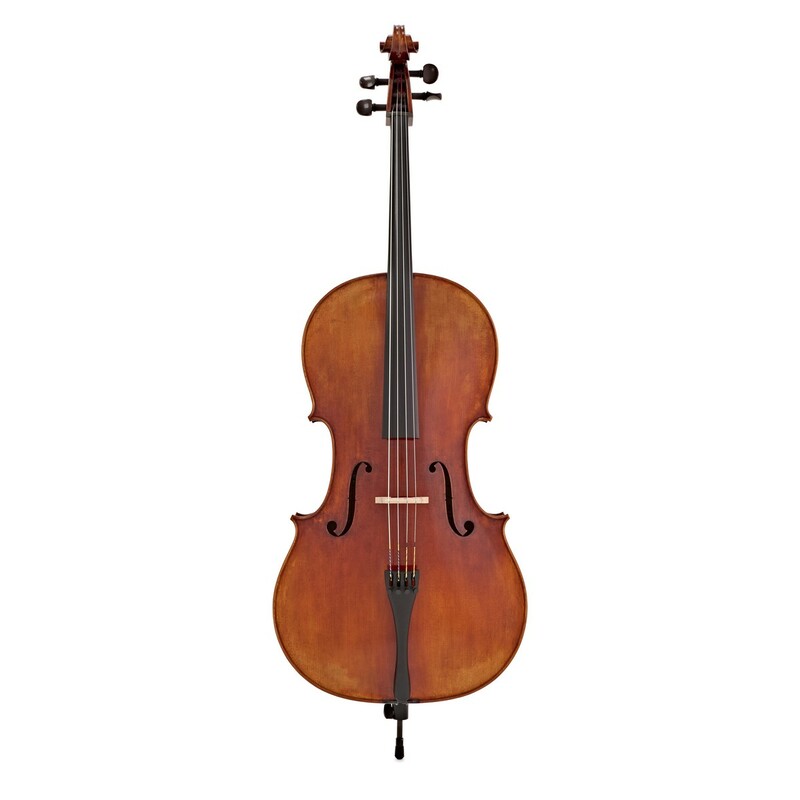 The full size cello is ideal for a range of players from adults to older children. A two piece figured maple back is accompanied by matching ribs and scroll, for a traditional look. Also featured on the design is a carbon fibre shaft endpin and rosewood Paris eye pegs. The cello outfit is completed with a Larsen Solo A and D string, Helicore G and C string, K2 case and Marco Raposo cello bow. This string combination has been tried and tested by professionals for the ultimate sound. 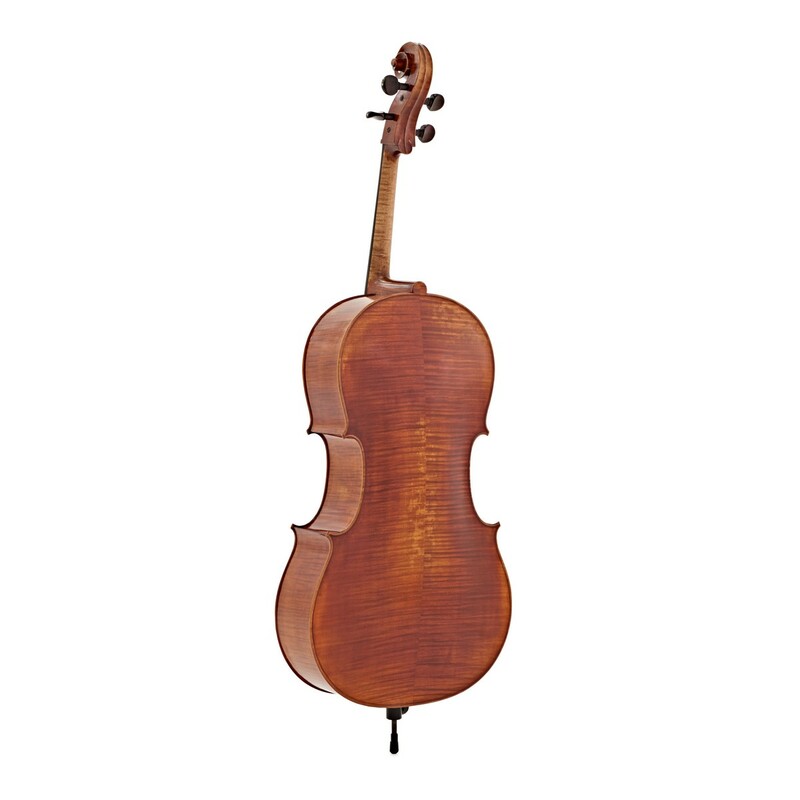 The 4/4 size 'Davidov' Stradivari Cello is the ideal fit for most players - adults and older children can enjoy the comfortable fit of this instrument and concentrate solely on their musical preparation. The ebony fingerboard is capable of producing a clear, crisp attack. This wood is generally much brighter than maple and has a similar density too. This quality gives the fingerboard a natural smooth, quick playing ability favored by many professionals. Although there are many types of wood used to create fingerboards ebony is the darkest of them all. 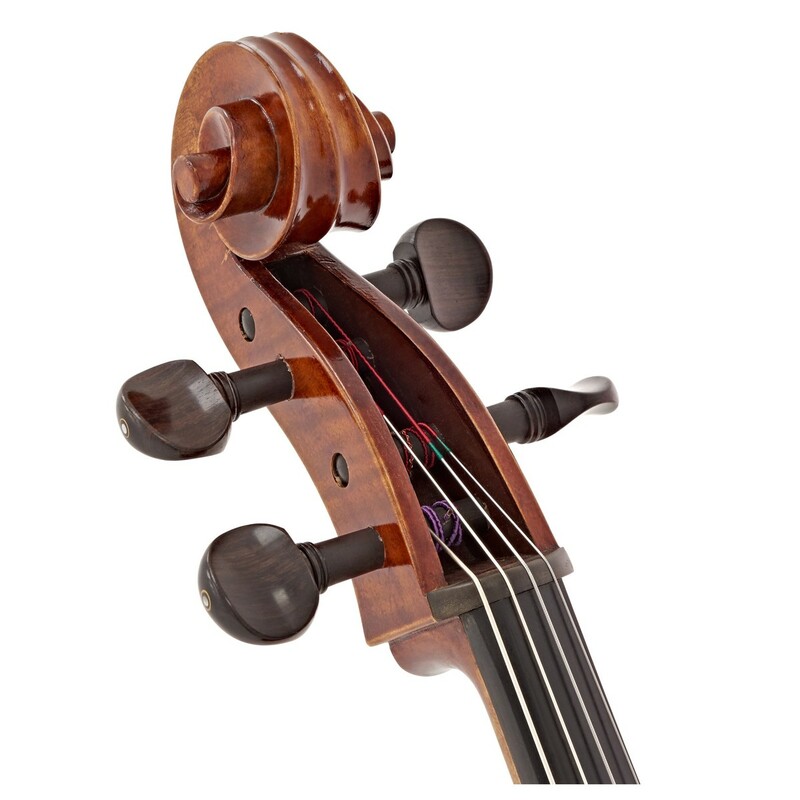 The wood works effectively throughout the instrument's range and is reliable for years. The soloist series of strings has been designed for those who want each note to be articulated and powerful. The strings feature solid steel cores that have a resonant bass, balanced mids and crisp highs. The A and D have a stainless steel winding for a comfortable feel, whilst the G string is wound with tungsten for increased bass response. The strings are ideal for solo musicians who want each passage of their performance to have clarity and balance, regardless of their speed. Premium quality materials combined with skilled craftsmanship result in pitch stability and longevity. 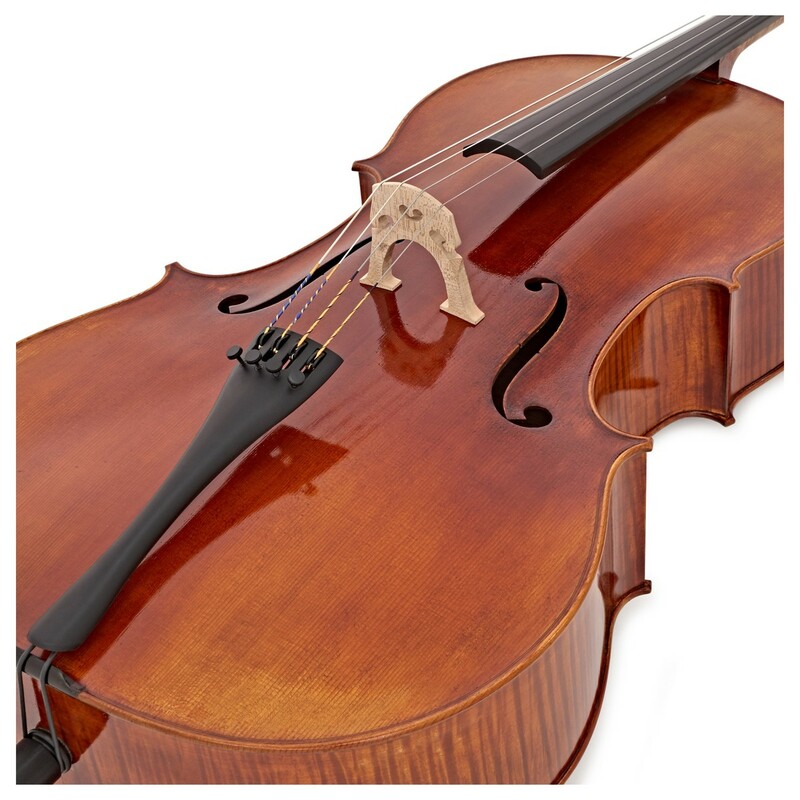 With a playing length of 27.5 inches, the medium tension string are scaled to fit 4/4 size cellos. The K2 case is great for travelling musicians who need to protect their equipment against their busy lifestyle. 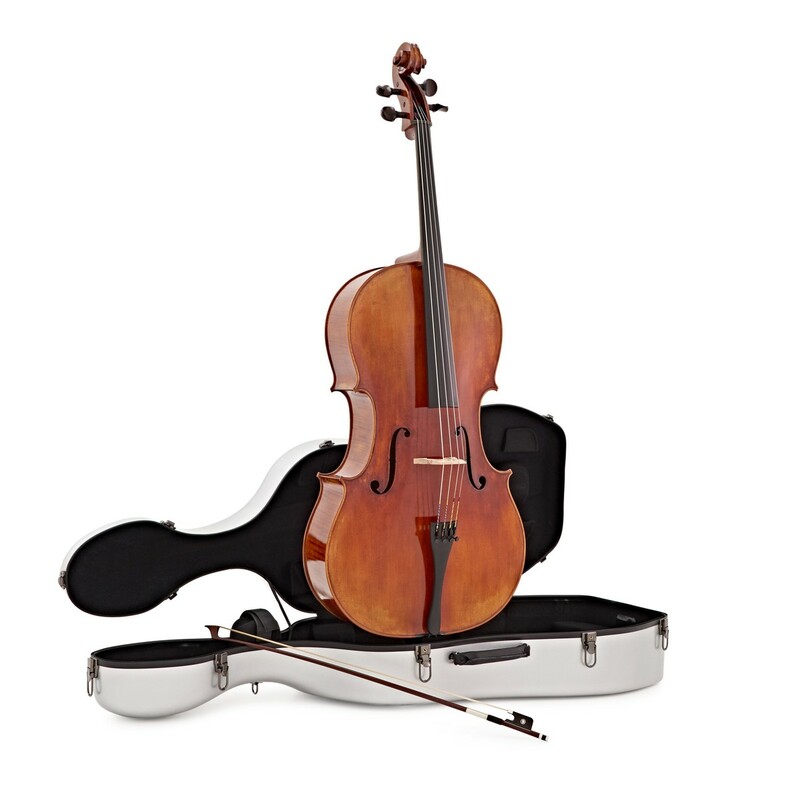 This case will keep the cello looking, feeling and sounding newer for longer, by reducing the risk of scratches and preventing damage caused when the instrument is dropped. The case comes with plenty of features to keep everything organised and stored away. 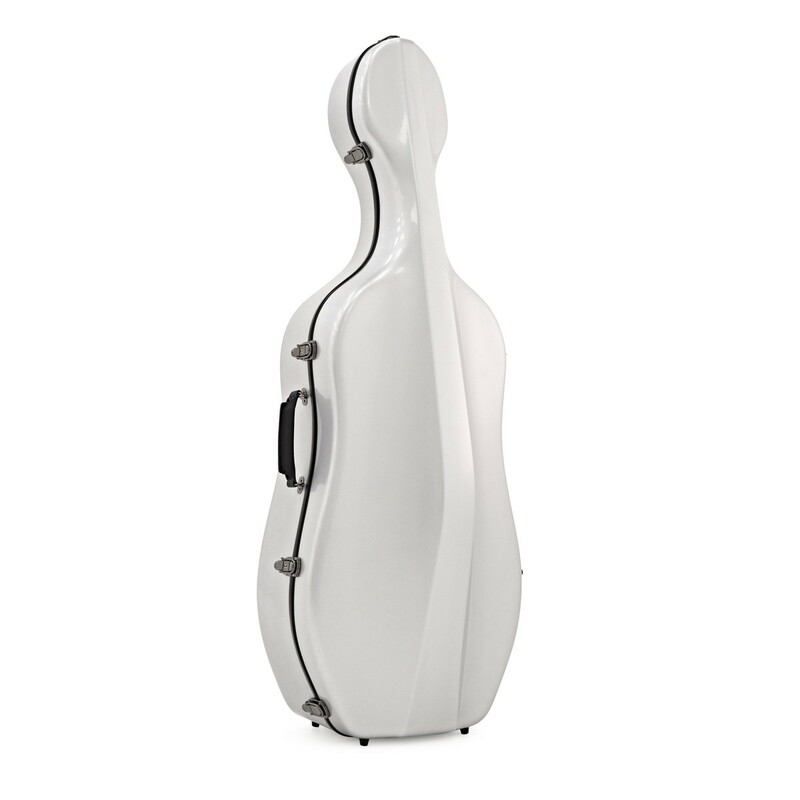 The lightweight design still maintains the protection needed for any high end cello.